The three-volume textbook with complementary tune books lays the foundation for a solid technical and musical training. Structured in an easy and understandable way, it is aimed at older children, young people and adults. The accompanying CD offers a rhythmic motivating playback of many pieces. This is how cello playing is great fun! 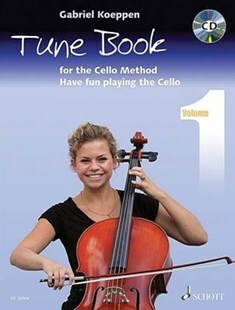 Click the button below to add the Cello Method - Have fun playing the Cello by Gabriel Koeppen to your wish list.